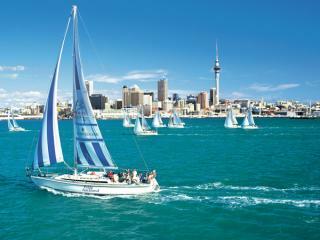 Often referred to as the 'City of Sails', Auckland is located between two harbours and is home to the largest number of boats per capita. As such, Auckland accommodation offers a modern range of options with excellent onsite facilities, most with views of the water or harbours. 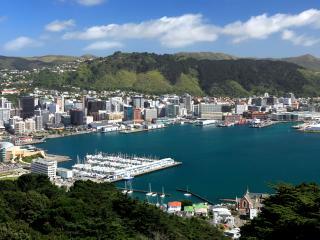 New Zealand's capital city, Wellington offers a range of accommodation options featuring the level of quality you'd expect in such a popular hub. Close to shopping, dining and attractions, Wellington accommodation also enjoys access to 16 boutique wineries. Known for its picturesque outlooks, Northland accommodation is concentrated on the east coast in Waitangi and Paihia as well as a handful of properties in Matauri Bay and Whangarei. 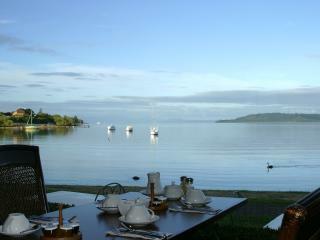 Surrounded by incredible natural attractions, Northland accommodation ranges from 3 stars all the way to 5 stars. 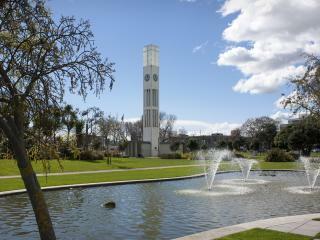 Waikato accommodation is conveniently located close to a variety of popular local attractions. Although heavily concentrated in Hamilton, accommodation is also located in at Lake Taupo and on the Coromandel Peninsula and offers something to suit all budgets. Heartland of the Maori culture, Bay of Plenty accommodation offers a convenient range of onsite facilities within minutes of the region’s famous hot springs. Rotorua accommodation is the closest you will get to the hot springs, mud pools and geothermal attractions and no trip to New Zealand is complete without visiting powerful display of nature. Hawkes Bay accommodation ranges from modern motels and luxury hotels to bed and breakfasts, exclusive lodges, homestays and self-contained cottages and apartments. 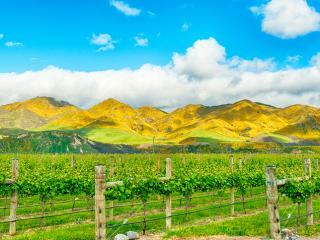 Predominantly concentrated in the main city of Napier, some wineries also offer guest rooms. With the majority located in the city of Palmerston North, Manawatu accommodation ranges from comfortable motels and charming bed and breakfasts to modern hotels, contemporary country retreats and traditional kiwi farm stays. Some of Otago’s most popular accommodation can be found in Queenstown as well as spread out cross the peninsula in Oamaru. 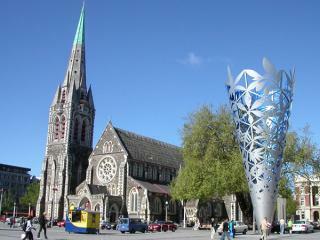 Otago accommodation ranges from 3 stars to 5 stars and is located in the city centre of Dunedin as well as the alpine ski resorts of Wanaka. From the city centre of Christchurch to the heritage of Hamner Springs and the majesty of Mount Cook, Canterbury accommodation offers easy access to the region’s most popular attractions. Canterbury also offers accommodation in the picturesque coastal town of Kaikoura and beautiful natural attraction of Lake Tekapo. Featuring cosy open fireplaces and spectacular views of the surrounding natural attractions, West Coast accommodation is located in Greymouth and close to the famous Franz Josef Glacier and Fox Glacier in the Westland World Heritage Park. Marlborough accommodation is conveniently located close to a number of shopping and dining options as well as popular local attractions. Concentrated in the main centre of Blenheim, Marlborough accommodation enjoys great service and an excellent range of onsite facilities. 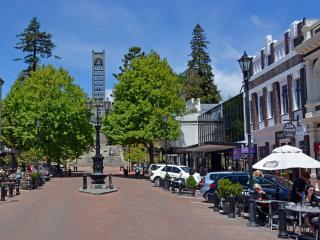 The geographic centre of New Zealand, Nelson is situated midway down the east coast of the South Island and is a lovely coastal destination known for its striking scenery. 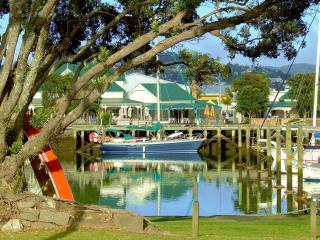 Nelson accommodation offers something for all budgets and travellers and ranges from 3 stars to 5 stars. 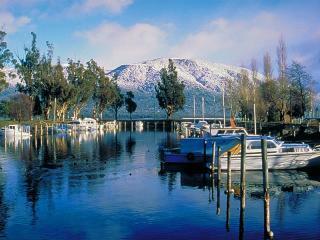 The scenic region of Southland offers a variety of accommodation options to suit all travellers and budgets. Ranging from comfortable yet affordable 3 star options to luxury 5 star options, Southland accommodation is most commonly located in the main town of Te Anau.